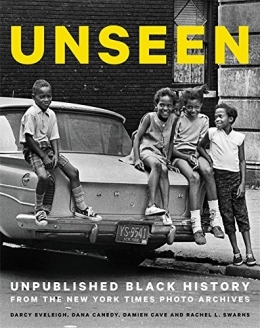 In February 2016, Rachel Swarms, Darcy Eveleigh, Damien Cave, and Dana Canedy discovered dozens of photographs -- and explored the history behind them -- and chronicled them in the popular blog series Unpublished Black History. The month-long series was overwhelmingly well-received and garnered 1.7 million views and thousands of comments from readers. This book dives even deeper in the Times photo archives -- known as the Morgue -- to showcase 120 more photographs and their untold stories. The never-before-published photographs include a 27-year-old Jesse Jackson leading a rally of 4,000 people in Chicago, Rosa Parks arriving at a Montgomery Courthouse, and a candid behind-the-scenes shot of Aretha Franklin backstage at the Apollo Theater. Were the photos -- or the people in them -- not deemed newsworthy enough? Did the images not arrive in time for publication? Were they pushed aside by words at an institution long known as the Gray Lady? Swarms, Eveleigh, Cave, and Canedy explore all these questions and more in this one-of-a-kind book. Swarns, Rachel L., author, editor. New York Times Photo Archives.